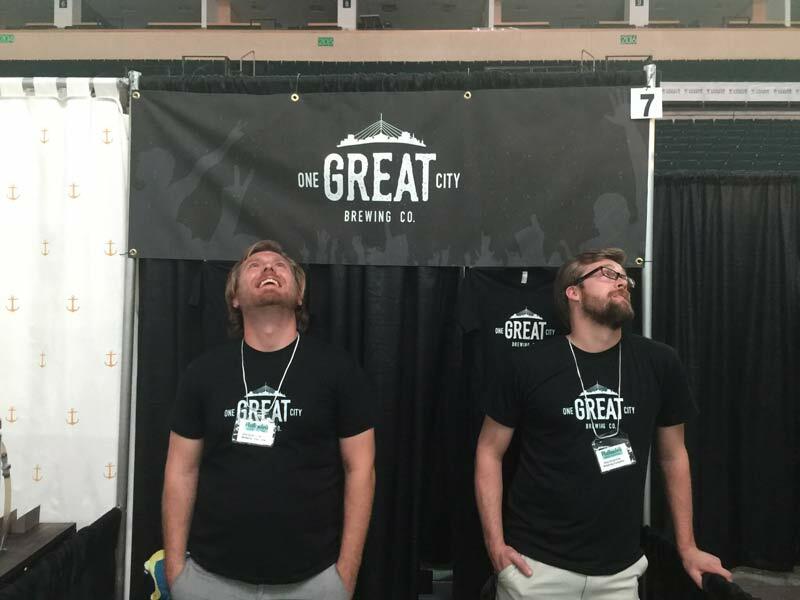 About Us – Pre November 2017 – One Great City Co.
OGC is the collaboration of two Winnipeg boys, Jon Burge and Tim Hudek. Jon and Tim were lucky enough to travel and move around in their 20s which allowed them to experience some amazing food, beer, architecture and style. Missing their home, they both moved back to Winnipeg to share some of their experiences while fusing them with what makes Winnipeg one great city. The result is a combination of style, atmosphere and flavour that are unique to Winnipeg. Our goal in designing OGC was to create an environment unique in Winnipeg. To accomplish this, we have separated the restaurant and brewery with over three hundred feet of glass so that customers can see inside the brewery from every. We also wanted our design to be warm while reflecting the fact that, like many Winnipeggers, we work hard to achieve our dreams. This is why we used as much local and reclaimed wood as possible and performed as much of the design work as we could including grinding and polishing our floors, building our bar and building our chairs, tables, etc. The food is a true fusion of Jon’s experience in high end dining with traditional comfort food everyone can appreciate. He takes the same care that is used in fine dining but applies it to pub food for a menu that is adventurous while remaining accessible. Customers will find the menu familiar but with twists that make an old favourite even better. They will also notice a higher caliber of ingredient as we use as many fresh and local inputs as possible. Our beer is designed and brewed by the OGC Brewmaster, Joshua Berscheid. Like our food, Josh has created a beer menu that is adventurous and accessible. Some beers will be familiar to all beer drinkers while others will be pleasant surprises. However, everyone will appreciate the quality of ingredients and the freshness of our beer that really sets us apart from the standard lager. The name “One Great City” started as a simple reference to Winnipeg’s former motto but since our inception, we have learned that it means different thing to different people. To us it means that it is the people that makes Winnipeg great. Throughout our travels and meeting many wonderful people all over the world, we realized that we are Winnipeggers and this is where we belong. The coldest of places makes the warmest of people. Tim grew up in Fort Rouge, down the street from the BDI. He moved to Toronto in 2008 to attend law school and ended up finding a job, a fiancée and a dog which kept him there until 2015. Half Pints Brewing Co. opened just before Tim moved away from Winnipeg giving him his first experience with craft beer. While living in Toronto, Tim learned more about the industry and conducted significant “market research”. Tim moved back to Winnipeg in December of 2015 bringing his fiancée and dog with him. He is the General Manager of OGC and is responsible for the long term and day-to-day operation of the company. Jon spent his first 18 years living in Crescentwood until his family moved to Vancouver in 2005. While in Vancouver, Jon discovered his passion for cooking and creating recipes that truly resonate with people. He attended the Pacific Culinary Institute, worked in both the front and back of house at a number of high end restaurants and was on the opening team for a number of concepts such as Vancouver’s first gourmet food truck. 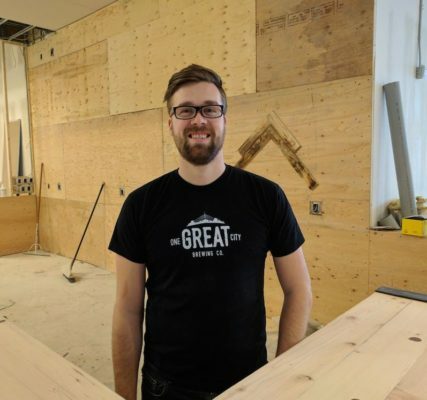 He returned to Winnipeg in 2010 and began working and managing kitchens in Northern Manitoba with the intention of opening his own restaurant. This intention came to fruition when he partnered with Tim to start working on opening OGC. Jon used his experience and education to create OGC’s menu and will be the Head Chef upon opening. 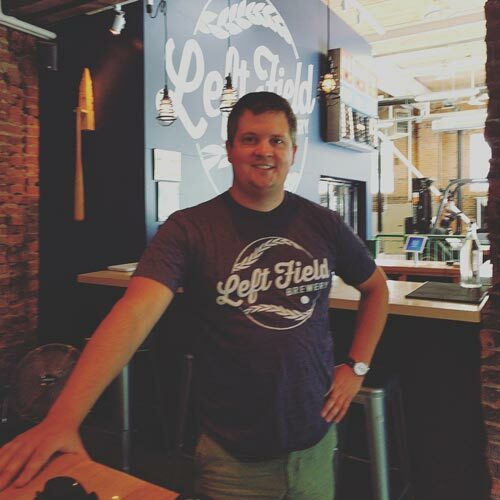 Josh grew up in Charleswood and became interested in brewing beer while at university. 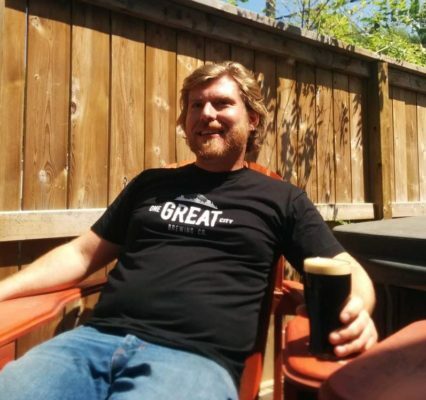 He began home brewing and eventually went to Olds College in Alberta where he received a diploma in Brewmaster & Brewery Operations Management. Josh worked as a brewer at Half Pints for two years and it looking forward to taking the next step and becoming a full-fledged brewmaster. Josh’s recipes for OGC were first tested at Flatlander’s Beer Festival 2016 with extremely positive reviews. He will be continuing to develop new recipes which will be available to taste at OGC. The term “One Great City” means different things to different people. To us, it is Winnipeg’s former motto that was a comfortable reminder after a long road trip that we were finally home. To other, it is the Weakerthans’ ode to their city. The reason we chose One Great City is because both of OGC’s owners left Winnipeg for a number of years and found themselves drawn back. In this time away, they realized how much they missed Winnipeg and how much it has to offer. They moved back to combine their experiences into a business that offers unparalleled service and flavour and create a new experience for the people that brought them back. A brewpub is a restaurant that actually brews its own beer. The advantage of this for the customer is that the beer they drink is always fresh which is a difference you can taste. The term can be ambiguous so some restaurants might call themselves a “brewpub” or “brew house” even if they don’t actually brew their own beer or even serve craft beer. The best description of our food is “gastropub”. Our Head Chef and Co-Owner, Jon Burge, honed his craft in the fine dining industry where exception care is applied to every plate. He is bringing this philosophy to pub food to elevate it and make it adventurous while maintaining its accessibility. We know beer isn’t for everyone which is why we also have an extensive wine and craft cocktail list. While we encourage everyone to try our beer to find something they like, our staff is incredibly knowledgeable about our entire drink menu and will work to find something for everyone. What if I don’t like craft beer? If you don’t like craft beer, we encourage you to try our American Blonde or ESB. Both of these beers are extremely approachable and appeal to the craft beer drinker and the non-craft beer drinker alike. That being said, we would encourage you to discuss your tastes with our staff as they are excellent at preparing a flight of beer for you to try and enjoy. We don’t have any formal tours setup but you can call ahead to schedule one or you can just ask when you come in if anyone has time to take you through the brew house. If you are looking to host a smaller, non-exclusive event, we can definitely do that. Right now our beer is available at OGC, the Tipsy Cow Restaurant and the Beer Store at Pembina and Grant. We are working out the last few steps to bottle our beer and will then work to make it available city-wide. I have seen pictures of the owners renovating and building chairs, tables, etc. Do you guys really do all of the work yourselves? We wish! On a project like this there are way too many things that require skills that we don’t have. For those aspects of the job, we have hired professionals. Our contribution is the work we feel confident we can tackle (jackhammering the floors, digging the trenches, grinding the floors, painting, installing fixtures, etc.). In addition to this contribution, OGC owners are pretty handy in the woodshop and have built all of the tables, chairs, banquettes, etc.